Grew up with Gomel Wildcats (Belarus). Signed for the 1999-00 season by RShVSM-BGPA Minsk. Signed for the 2000-01 season by Sozh Gomel. Signed for the 2001-02 season by Spartak Conditer Gomel. Moved to Russia for the 2002-03 season, signed by Avtodor Saratov. Signed for the 2004-05 season by Dynamo St. Petersburg. Signed for the 2006-07 season by BC Khimki Moscow. Moved to Turkey for the 2014-15 season, signed by Banvit BK Bandirma. Moved to Italy for the 2015-16 season, signed by Pallacanestro Reggiana Reggio Emilia. Named the 2010-11 EuroCup Quarterfinals Game-1 MVP. 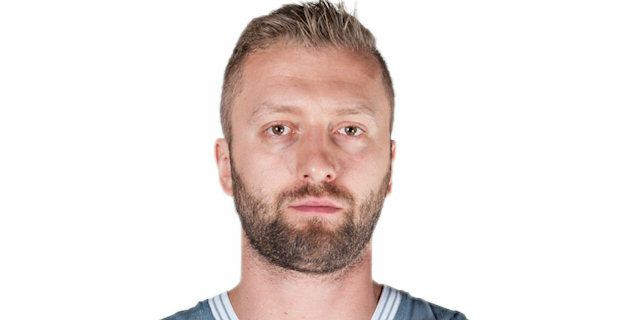 Named the 2011-12 EuroLeague Top 16 Week-1 MVP. Won the 2009 and 2014 Russian National Cup with Unics Kazan. Played the 2000 Belarus All Star Game. Selected for the 2006 FIBA All Star Game. Has been member of the Belarus U-16, U-18 and U-20 National Team. Played at the 2004 Under-20 European Championship.